I created the parking and the garden as shown below. If it's different than the way you did it, is it still split into two halves? How do you know? ﻿I would like to build a cafeteria in the garden. 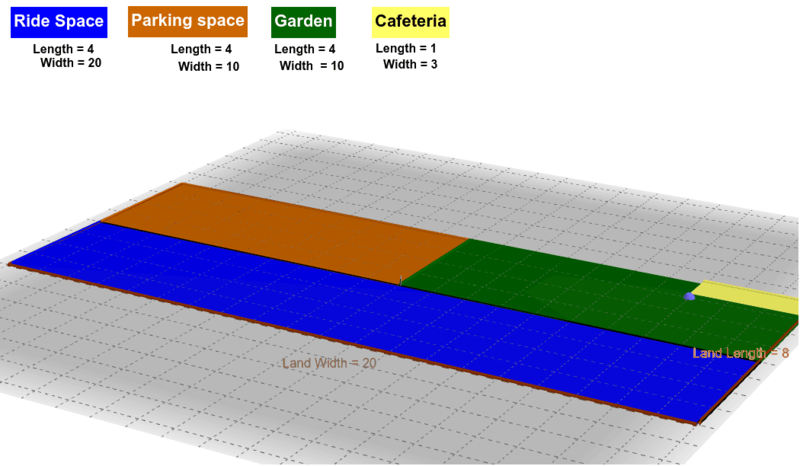 The area of the cafeteria should be 1/4th of the area of the garden. What would be the area of the cafeteria? What would be the length and width of the cafeteria?